We are very excited to announce the launch of our newly designed website. Visit us at our web address http://www.nypainsolutions.com/ The site’s homepage features bright colors and an uncluttered design.We wanted to make the new website faster, easier to navigate, and more user-friendly. As a health adviser, it’s important for us to make information regarding ‪#‎Pain‬ ‪#‎Treatment‬ Procedures, ‪#‎sciatica‬ treatment and anesthesiology easily accessible to our current and prospective clients. We endeavor to provide our clients with the most accurate, up-to-date information and share our knowledge and expertise in the field of health. Our clients are always our first priority and we plan for it to stay that way. 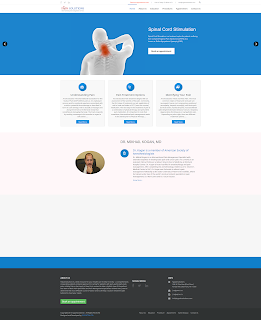 You’ll find our new site is divided into five main sections: About Doctors, Patient Education Libraries, Pain Treatment Procedures, Book an Appointment for pain Treatment and Contact details.Our clients could easily navigate our site and locate the information they need. Our Education section provides in-depth detail on Patient Education Libraries. In ‪#‎Spine‬ ‪#‎Glossary‬, you’ll find links to our Glossary section. You can browse through this section to find the information on the keyword you want. Here you can also request for ‪#‎Appointment‬ process through ‪#‎ZocDoc‬, Safe and secure. 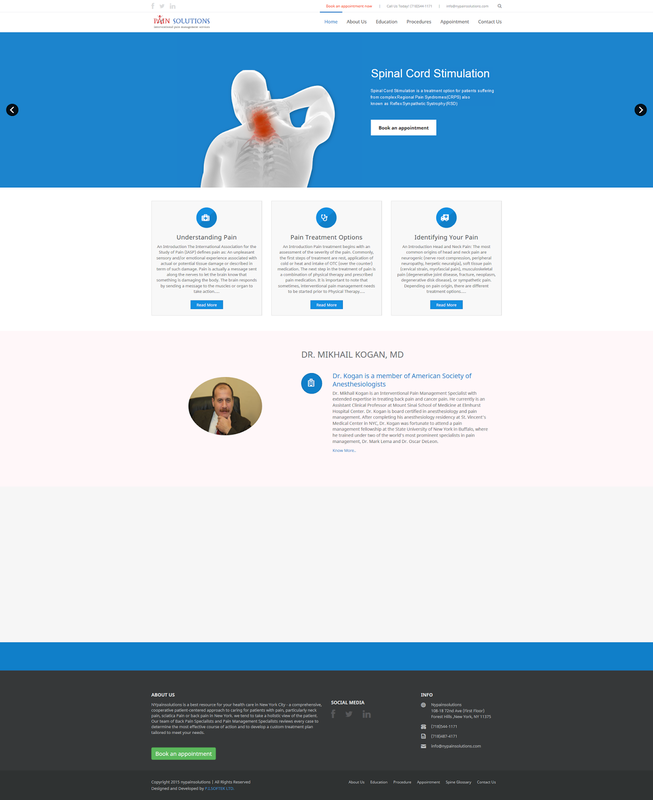 In the About us section, you can read our doctors overview and specialization and view our locations. WE can be contacted through our Contact Us section.